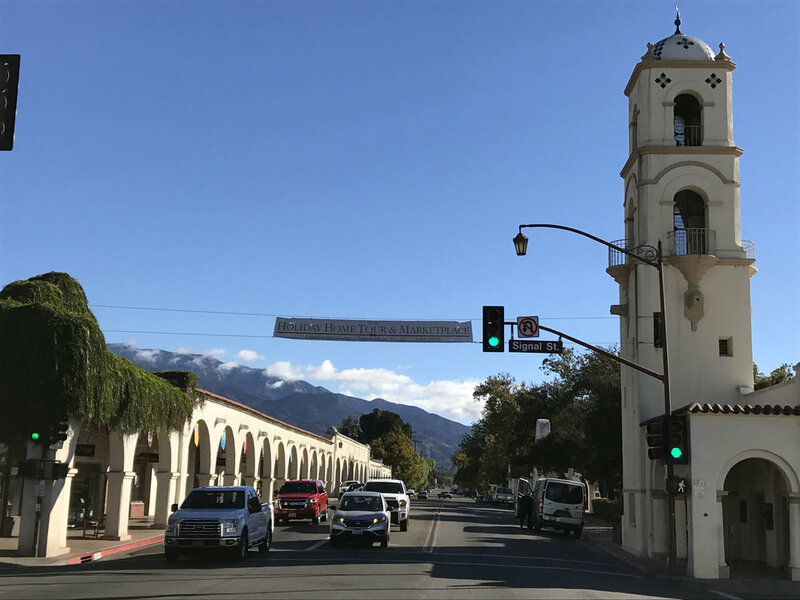 From fine dining and casual meals to quaint coffee shops and local pubs Ojai, California offers more tasty options than you can take in on one visit. Many of the restaurants offer lovely outdoor patios and impressive wine lists. Our hospitable locals welcome you to relax, and leave the cooking to us! RAINBOW BRIDGE NATURAL FOODS STORE offers fresh salads and hot dishes from the deli counter that will please Vegetarians and natural food enthusiasts. WESTRIDGE MARKET is known for their fresh produce, premium meats, cheeses and wine, the delis feature hearty gourmet fare. OJAI CERTIFIED FARMERS' MARKET for fresh fruits and vegetables, local jams and honey, olive and walnut oil, free range eggs, prepared delectable items and much more. Not just a mere farmers’ market, this is a weekly event. The music and people-watching are part of the fun. Sundays from 9 a.m. to 1 p.m. – rain or shine – behind the Arcade at 300 E. Matilija Street. Sorry, no dogs allowed.